Anexo 3 is a performance of structured-collective improvisation by Jaime Oliver and Ensemble KLEM, developed over two residencies in Bilbao and in Santiago de Chile in March and June 2017. Anexo 3 employs four performers. Violin, Flute, and Saxophone, are radically amplified and transformed by a computer, and joined by a musician running live electronics and performing on a MANO controller. Performers use a variety of objects ranging from güiros, small motors, small and large fans, aluminum plates, speaker cones, hammers, mallets, and contact microphones. 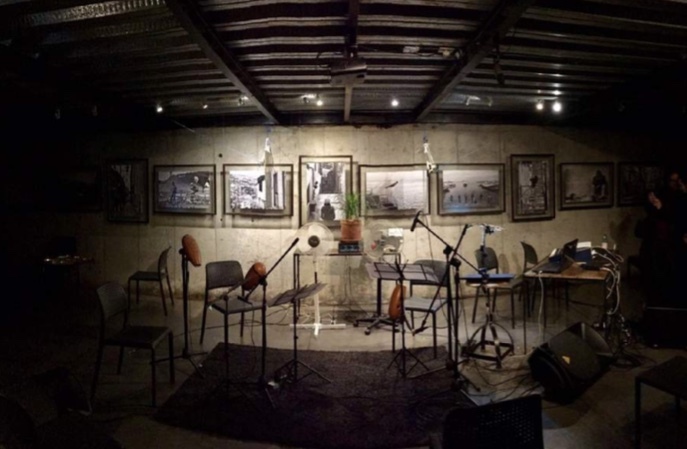 The performance never feels like a traditional chamber work for acoustic instruments but rather, like a continually transforming interconnected network of humans, instruments, software and hardware, often resulting in feedback and other unpredictable sonic material. The first version of the work has been performed in Santiago and Valparaíso in Chile, and in Lima, Peru. We are programming performances in Medellin and Bogotá (Colombia), Bilbao (Spain), and New York (EEUU).